What happens when partisanship and polarization get in the way of federal government function? Bruce Katz of the Brookings Institute identifies a surge of innovative local action he names the New American Localism, in which cities emerge as leaders on major problems with bottom-up solutions. Read his article to learn his recommendations for how state and federal governments can collaborate with cities to foster this innovation. The National League of Cities released their State of the Cities 2016 report recently, examining State of the City speeches from mayors across the U.S. to find out what is on mayors' minds and what major challenges cities are facing. This year's report found an emphasis on boosting entrepreneurship and improving economies, sustainable community development, and increasing tech and data's role in decision-making, among other topics. Check out the report to learn more about the state of America's cities. 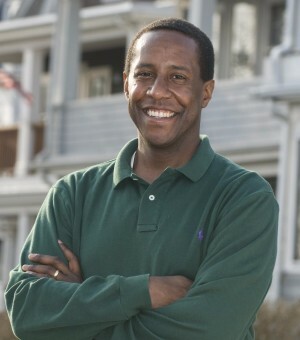 Seeking to expand the innovation economy in his town of Newton, MA, NewDEAL Leader Mayor Setti Warren developed a partnership with a startup accelerator to help create the Newton Innovation Center. The Center is a collaboration between local government and two area accelerator programs, and offers support, office space, and services for entrepreneurs. Learn more about the Center, the startups that call it home, and how it's been helping Newton's local innovators since its launch.